Centurian Services, LLC has been providing quality Bee Control and Bee Removal Services for over 7 years in Orlando Florida. Our Bee Removal technicians are licensed, insured, and ready to take on any task. Call us today for a free Bee Removal inspection and estimate. Centurian Wildlife Control, Located in Orlando, is your local Bee Removal and Bee Control Company specilalizing in Humane Bee Removal! 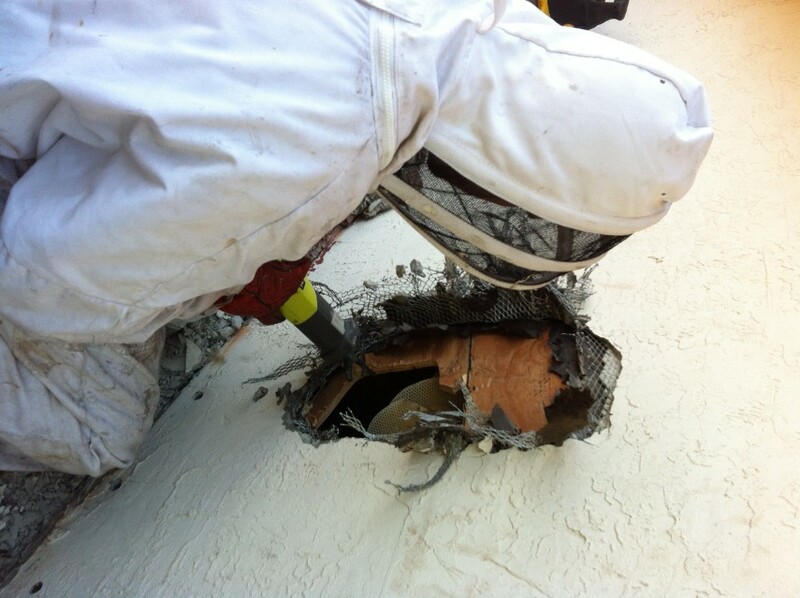 We provide full-service bee removal services throughout Orlando, Florida. 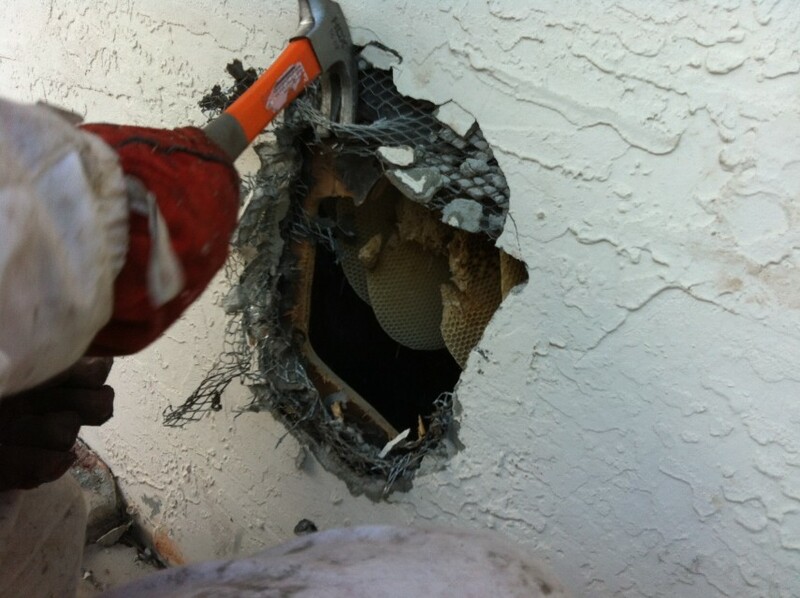 We specialize in the removal and control of Bees Orlando home and attic. Whether you’ve just found bees in an attic or can see a honeycomb attached to an exterior location, we are highly skilled at removing bees from a wide variety of locations. Our technicians are trained to contend with many of the complicated and dangerous situations created by bees. At Centurian Wildlife our Bee Removal Specialists primary concern has always been our customers’ safety. We work with fire departments, animal control, airports, management companies and homeowners to ensure our customers’ safety. We provide immediate service to ensure removal of their problem the safest way possible. We are experts in the field of Animal Control and Wildlife Removal in Orlando, everyone on staff is fully educated and properly trained in the field of wildlife biology. We service all areas of Orlando, FL. 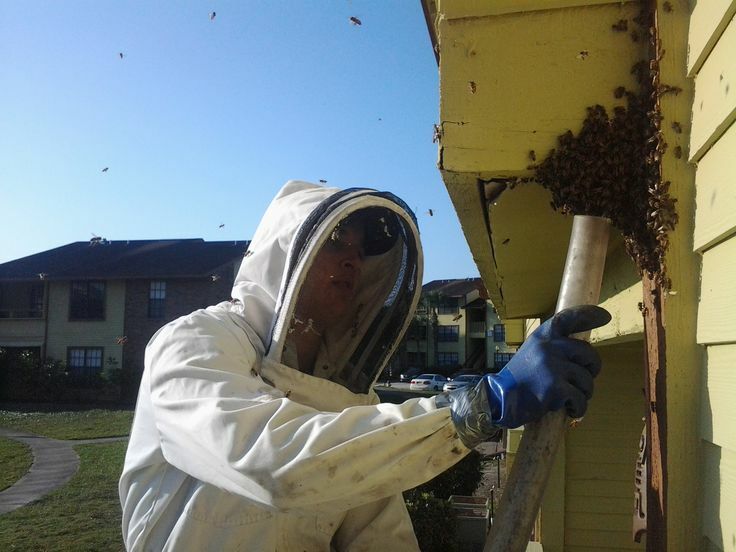 Bee Removal in Orlando is closely regulated by Animal Control and by Florida Fish & Wildlife (Florida Wildlife Control) to ensure the humane and proper treatment of the bees being removed. Before you hire any bee removal professionals in Orlando, FL you should check to make sure they have the proper licensing and paperwork from the County and State and that they have the proper insurance to perform work on your home. The most common calls for nuisance bee removal for Orlando, Florida are african bee removal and bee extermination services. We are Orlando, Florida’s local bee Control & bee Removal Specialists. 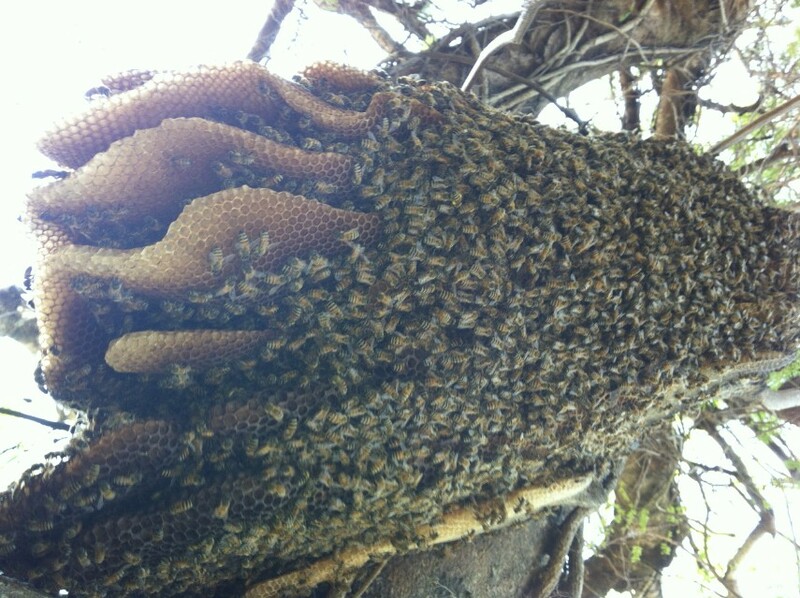 It's not unusual in Florida for honey bees to be within the environment, not handled by a beekeeper. Wild or, more appropriately, feral honey bees have the potential to be a nuisance when found on commercial or private property, either at a swarm state or fully developed within an established colony. Part of the reproductive life cycle of the honey bee is known as swarming, an event where a new colony is generated by an existing colony. This cycle effectively has two phases -- the swarm, a transient group consisting of one queen and lots of worker honey bees which exists for a brief time (a couple of hours to a couple days), and an established colony which has nested in a place and began building comb in their permanent residence. The differentiation between a swarm as well as an established colony is crucial because a swarm is comparatively docile as they don't have any nest to protect. Thus, bees in a swarm tend to not bite. 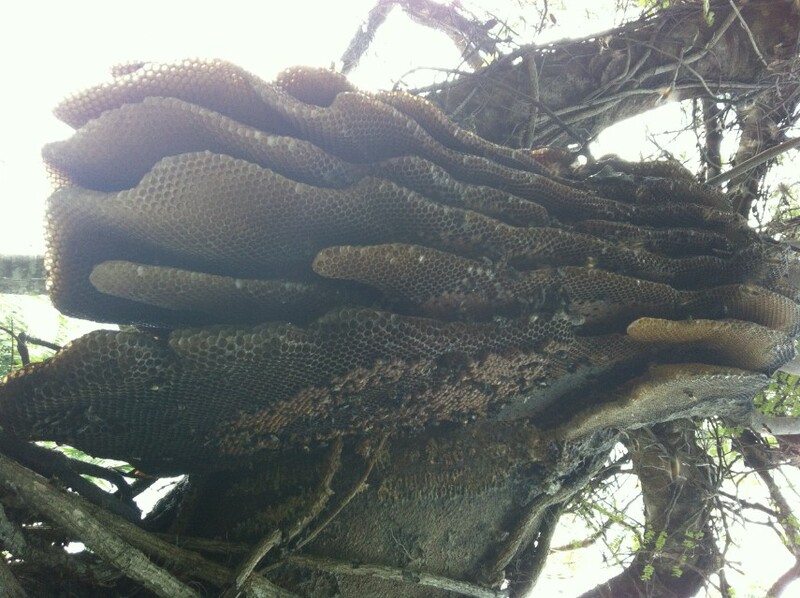 Established colonies build layers of wax comb, are composed of tens of thousands of bees, create and store honey, back brood (developing bees) and will actively defend their nest (bite). The colonies can grow very large, often as big as the nest cavity they occupy. Colonies will have a great deal of action or "bee visitors" going into and out of a little opening of the cavity where the bees reside. Honey bees may become a nuisance when they take up residence in cavities near areas where people frequent, like soffits and walls of homes/buildings, yard debris, water meter boxes, oak trees, etc.. 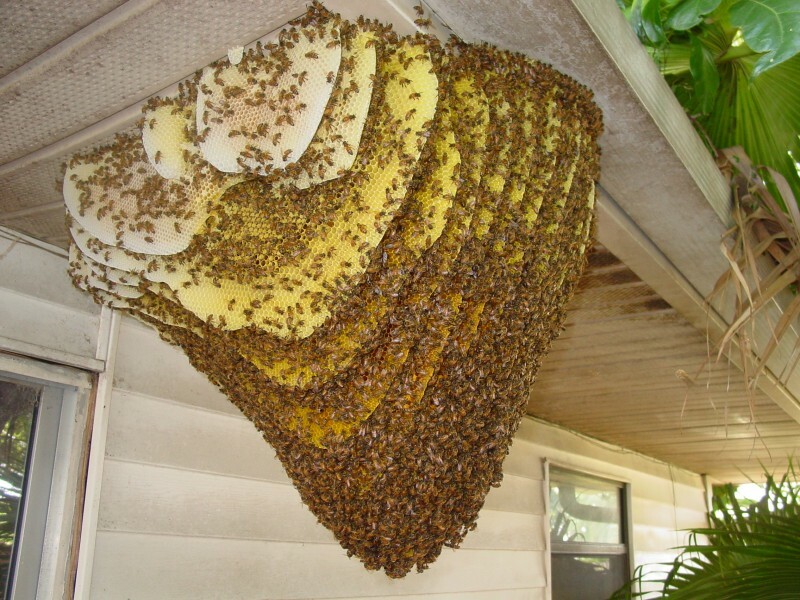 It's the duty of the property owner to manage an unwanted swarm or colony of honey bees. Sometimes, depending on the size, temperament and location of an established colony, a registered Florida beekeeper can get rid of an established colony and all its elements (bees, comb, brood, honey) and move it securely to an apiary. 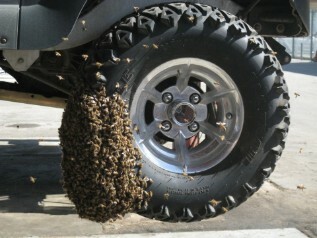 Swarms, given their transient state and docile character, usually can be removed easily and relocated into an apiary. Eradication of a colony with a certified pest control operator (PCO) is often the choice once the colony is nesting at a place that doesn't facilitate safe removal (e.g., high up in a tree, deep within an inhabited dwelling, near a college, etc. ), is deemed no longer able to flourish, or introduces a stinging threat to people. It's important to note it is the property owner's choice concerning the way the colony is eliminated. Although honey bees are a significant agricultural resource, it's NOT illegal for a licensed pest control company to eliminate a nuisance honey bee colony. Sometimes, public security necessitates a given colony be eradicated. Never try to remove or eliminate nuisance bees or a colony. It can be harmful and, if not done correctly, a violation of federal or state pesticide laws. Honey Bees are beneficial insects that sometimes cause problems. They pose a danger to people and property if they nest near or in the places where we live and work. Honey Bees live in colonies consisting of a single queen bee and thousands of worker bees plus a few hundred males. There can be anywhere from 10,000 to well over 60,000 bees in a colony. Centurian Bee Control is a licensed pest control company that deals only in bees and wasps. Bees provide much needed pollination for agricultural crops and honey for consumers, it is a crime in the state of Florida to kill bees in the wild. However if bees are nesting inside a wall or tree on your property they are considered a pest and currently the pest control board wants them to be exterminated. Centurian Bee Removal offers the best Bee Removal & Pest Control Services in Orlando Florida. Our Bee Removal Professionals are highly trained and have years of experience in dealing with several types of bee infestation problems. Our Bee Removal services are focused on removing bee hives, swarns or colonies without the need to exterminate. To do so, our Bee Experts will first visit the problem area to identify the type of bee you´re dealing with and then propose a removal and relocation strategy. During the Bee removal process we DO NOT use dangerous chemicals or use any other methods that could be potentially harmful to you and your family. Being a member to Florida Department of Agriculuture allows us to rescue bee colonies and relocate them to a sefer environment in one of Florida's local Apiaries, where they will be able to continue pollinating crops and producing honey. Our Bee Removal services are focused on providing long term solutions, to this end we will help you repair & seal any structural damage in your home which could result in future bee infestation issues. Our Bee experts remove bees and relocate them to a safer environment where they pollinate crops and produce honey. We do not expose our customers or our bees to poisons or pesticides. 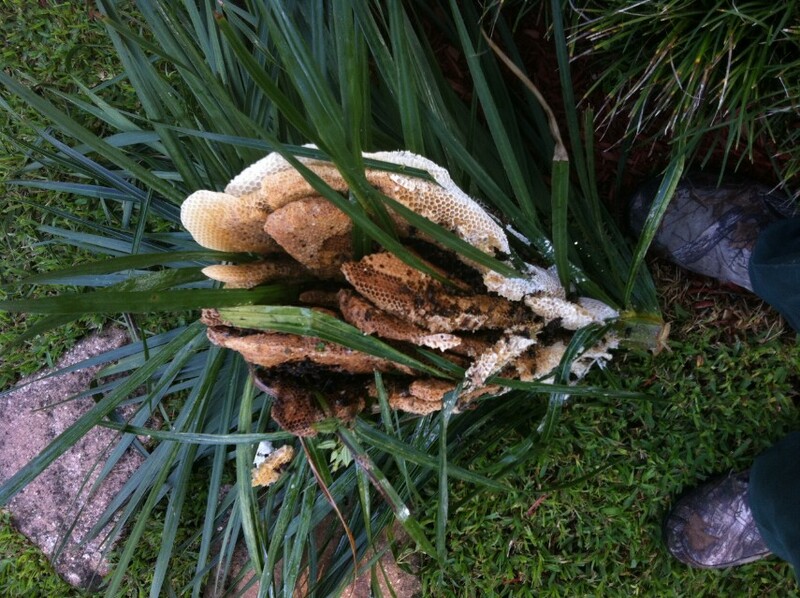 Our Bee Control experts In Orlando FL also need to remove the odor of a hive. The hive must be removed and sanitized very thoroughly, and the hive space must be cleaned and treated! Swarm is usually located within 100 yards of the parent colony. Although swarming honey bees have little interest in stinging people you should stay away and call a Delpa bee Keeper immediately. Centurian's expert technicians have years of experience repairing stucco, drywall, plaster, carpentry, siding and roofs (roof repairs are guaranteed leak-free). 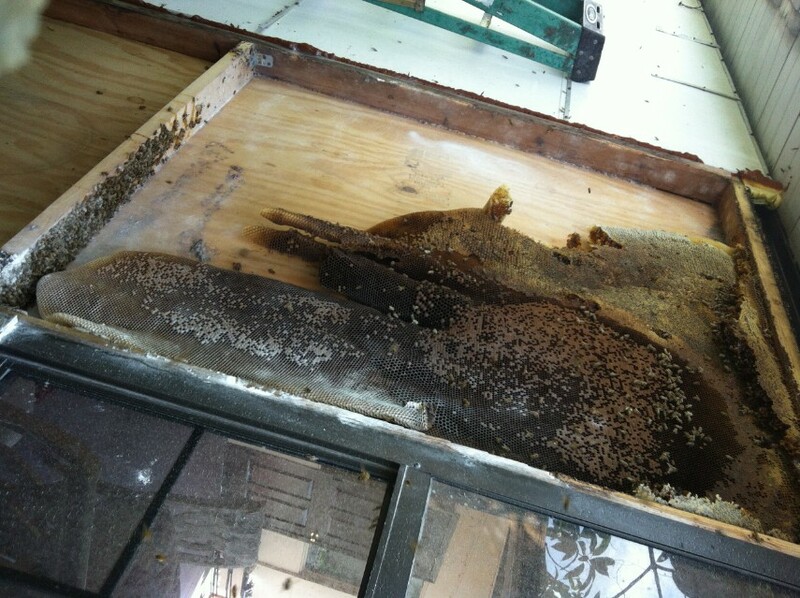 When we remove bee hives from buildings, we repair any openings made to extract the hive, and completely seal the structure as a final precaution.Bee hive removal specialist will advise you to treat and caulk around your home perimeter. 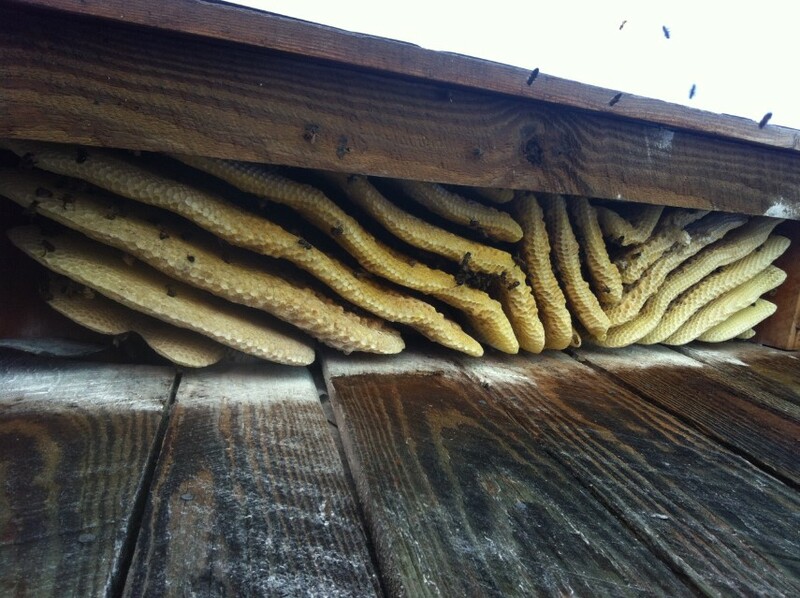 This is done in order to prevent remnant bees from returning and colonizing your home year after year! Bee removal is an arduous task, and not for the squeemish. From Live Bee REmoval, to cleaning up solid and liquid Hives, to restoring your home to brand-new condition–we've got you covered. No task too big or too small for our team! Looking for DIY Bee Removal Tips? Check out our Bee control information pages for more information about our process, and some tips that can save you time and money.